So braces are coming into your life. Perhaps you yourself are getting them, or maybe you have a child that's about to head to the orthodontist. I bet you are wondering what you need to do before the big day. How can you prepare properly? Well, if someone in your house is getting braces there's probably some nervousness going around. How about a little fun...like a trip to grocery store!? What, that doesn't sound fun to you? Well, now that you are saying hello to braces, chances are you are going to be saying goodbye to some pretty delicious things for awhile. Why not plan one last binge on those foods you will have to avoid eating with braces? Enjoy some popcorn, hard candy, beef jerky, gum, hard fruits and vegetables, and anything particularly sticky like fruit snacks. Those are all considered bad food for braces. It's very important to stay away from these types of foods after getting braces because you want to do everything you can to avoid braces repair (or damage to teeth) and possibly slowing down your progress. there may be some minor pain, making it difficult to chew. While you're at the grocery store, you might want to stock up on some soft foods that are safe to eat during the first day or two. Mashed potatoes, scrambled eggs, soup, and jello are all easy to eat while the mouth adjusts to the new orthodontics. Stick to things you can eat without much chewing. Pudding is also satisfying when you're craving sweets and it won't harm your braces. Doing everything the orthodontist says to do will speed up the process of adjusting and any painful days will pass quickly. An important thing to remember, as your household prepares for braces, is that they take dedication. Brushing and flossing several times a day is very important and non-negotiable when it comes to braces. It's quite a let down to spend 2 or so years wearing them to straighten your teeth, only to end up with cavity ridden discolored chompers! Prepare now to make things easier later. Convenience is definitely the key when it comes to kids and teens. It also doesn't hurt with adults! Stock up on toothbrushes and flossers. Keep them in easily accessible places such as purses, vehicles, backpacks, and anywhere you might be...school, the office, etc. That way there is never an excuse to not brush after a meal, even if it's dining out or lunchtime at school. Being ready now will make it much easier later. Make sure to focus on the big picture while you prepare. If it's your child getting the braces, help them to remain positive. Giving up food you love and taking on extra responsibility to care for braces can seem overwhelming and downright discouraging when you think too hard about it. The end result is what makes it all worth it! You will never regret a beautiful, healthy smile! 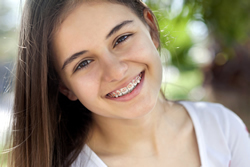 If braces are something you think you or one of your children may benefit from, call Dr. Reese for family friendly care in all areas of orthodontics in Mountain Home, Arkansas. The friendly staff at Reese Family Dentistry would love to answer any questions you may have! Call or use the convenient contact form on their website to get a consultation scheduled!